Krabi has always been one of the top destinations in Thailand for tourists all around the world. What we loved the most was that Krabi is relatively untouched, retaining its charm when compared to Phuket or Koh Phi Phi. The area is comparatively compact and once you get an idea it is easy to explore the many hidden gems that Krabi has to offer – landscapes, virgin islands, and scenic view the moment you open your eyes in the morning! Peaceful and serene! The list of places to visit and things to do in Krabi goes on and on, but I will try to shortlist a few which can be done on your stay here. The popular ones are Koh Poda, Chicken Island, Hong Island, Bamboo Island and Koh Phi Phi Don. You can never count the number of beautiful beaches that Krabi has to offer, each one better than the other. We spent an entire day at Phrang Nang Beach and that is one of the most memorable days in my life. (More on that later). But a gorgeous view as we dined on some delicious food will be etched in my memory forever. Another popular beach destination would be the Railay Beach, which is home to some exquisite resorts and beautiful boutique hotels. The Krabi Town is where the popular Weekend Market is set up. It is about 20 kilometers from Ao Nang. There are other small shops set up on the Beach Road as well. Upon reaching Ao Nang, Krabi, however, we decided to skip Island Hopping after having done two in Phuket, including the James Bond Island Tour. So while we contemplated on what to do the next day, we found ourselves taking up a rented motorbike and heading towards the town. The journey was breathtaking with picturesque mountains and landscapes. And in the end, it was the Giant Catfish farm, which awaited us (More on that later). Krabi is home to some finest resorts, budget hotels, hostels, restaurants, and bars. You can pick from a wide variety of options. Confused between choosing a hotel and a hostel? Let me help you out. I had mentioned in detail here about how one can use the ferry service from Phuket to reach Krabi. This is the fastest option but one can also travel by road. You can also travel by air from Bangkok and Chang Mai for Krabi has an international airport. We had seen many couples on a honeymoon in Krabi. We were asked by the hotel staff, the masseuse, and even a lady in the store whether we were on our honeymoon. Of course! If you can say so after four years of marriage! We lazed around, spent an evening in the resort’s infinity pool and lay there even when it started to rain. A couple from Australia warned us about getting wet in the rain, but oh, come on, we are in the pool. Seeing our enthusiasm, they jumped into the pool with us in ten minutes. Our stay in Krabi is one of the most memorable days of my life. Laidback and unexplored, I hope it doesn’t lose its charm by the time we visit the next time. “The next time?”, my husband asks. My smile melts his heart and we nod in unison. I’ve heard about Krabi and your photos make it look very inviting! I’ve been craving for a nice sunny beach holiday! Sigh! Wish I can transport to Krabi, like, right now! Beautiful captures! 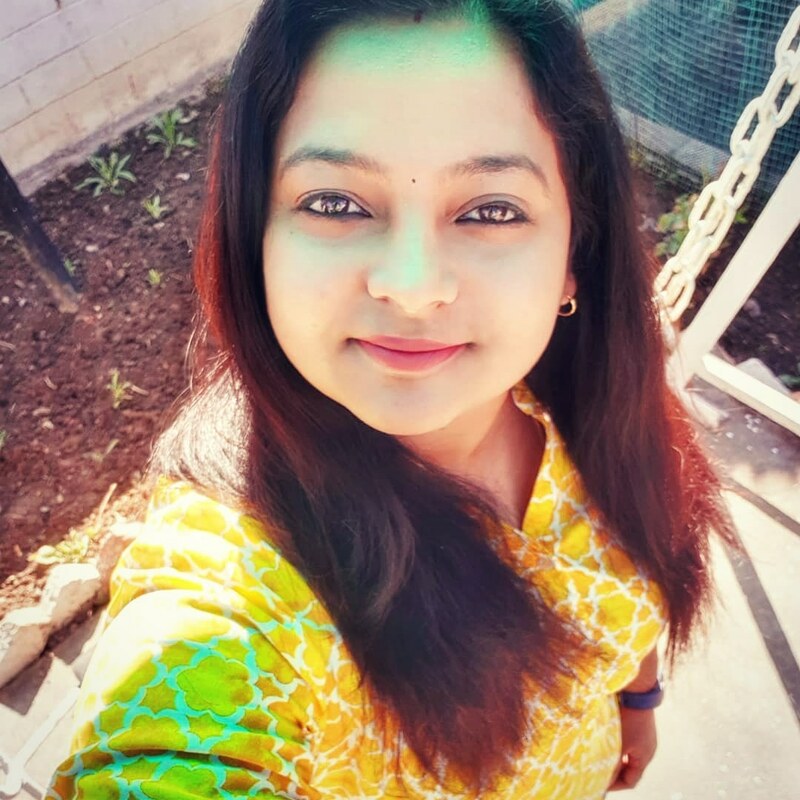 Aditi Kaushiva recently posted…Prepare to Be Illuminated! Oh these gorgeous, gorgeous photos! Thanks for the tip. It looks glorious! Krabi ka surely on my list next. The place looks surreal and I am glad you had a wonderful time. Thanks for sharing! ? One look at these pics and I can understand where your longing for the place comes from! Awesome..simply awesome! Krabi seems like a dream destination and you have captured its essence so well with your pictures!! Next time I visit Thailand I will not miss Krabi Shalz! Okay, that’s it – Next Year I am visiting Thailand yet again… I need to soak in the sun and eat and shop and not just gawk at photos here!!! I love peaceful places.nice pics Shalini esp the sunset one. I have yet to visit Krabi. Your pics are quite tempting. Thailand is beautiful! I feel as though I’ve been on vacation already – your photos and write up are so fabulous. Beautiful pics and the information. I just started dreaming. Krabi looks like a lovely place to visit! I loved the pictures. If I am ever visiting Thailand I won’t miss Krabi! …and I wake up visiting Thailand all over again through your eyes, such lovely picks dearie, adorable! Who’ s behind the lens ? ?